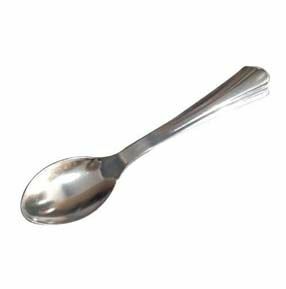 In order to retain our remarkable position in this industry, we are providing a wide array of Silver Plastic Tea Spoon . 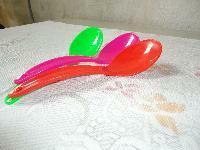 The plastic cutlery sets are available with us in a wide range of sizes, colors, and designs. 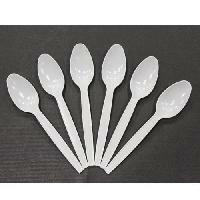 We are ranked amidst the famed manufacturers, exporters, and suppliers of premium quality plastic cutlery set in india. 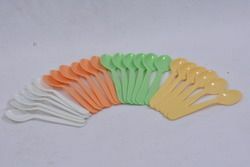 We maintain a bulk stock of these plastic cutlery sets in order to meet urgent requirements of the clients for desired quantity. 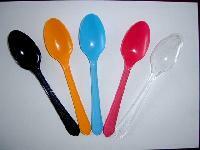 We make available Plastic Disposable Spoons in varying sizes. 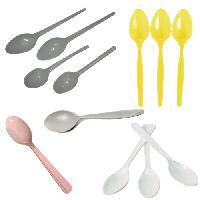 Rest assured on us for the superfast deliveries that we carry out in the stipulated time span. 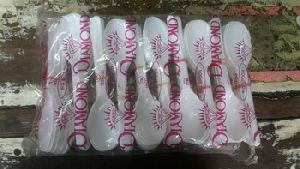 Our organization has a wide supply network, which enables us to serve buyers IN Delhi(India) and/ or anywhere. In order to ensure product compliance with stated quality norms, we conduct several tests at several stages. 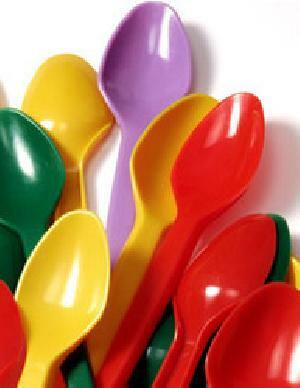 The company laid its foundation stone in Rajkot(India) and caters to the market with its wide range. 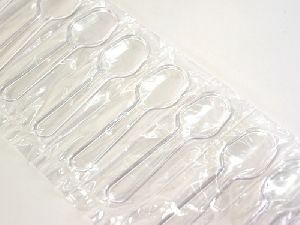 The company is engaged in the supply of cutlery spoons. 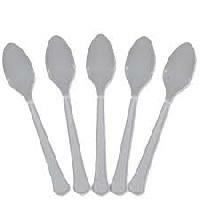 Our supplies are extended for plate and other utensils too. 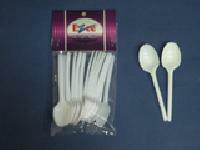 These utensils are available in strong pack. 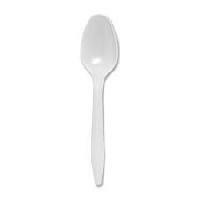 We bring forth optimum quality Plastic Moulded Spoons. 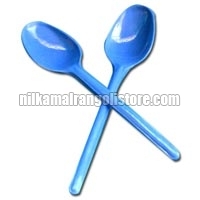 The Plastic Moulded Spoons which we offer are made from 8 Cavity injection mould. 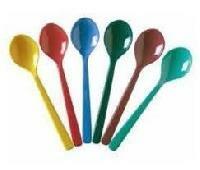 Avail the Plastic Moulded Spoons from us at market leading prices. We make available different payment options to suit the convenience level of the clients. We entertain both online and offline payment processing methods for the convenience of our customers. The raw material used for the wide array of products we deliver are quality checked and are completely certified by the professionals. 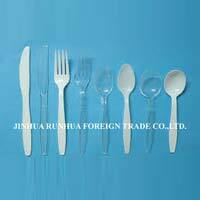 For the utmost client satisfaction, we conduct regular quality checks of the raw material. 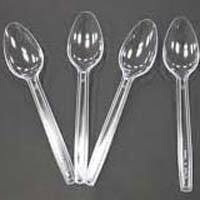 Plastic cutlery consists of a small, round bowl or shallow oval on a long handle, used for eating, stirring, and serving food. 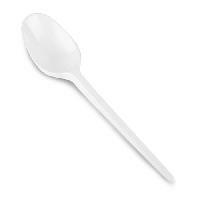 It is Disposable and light in weight. 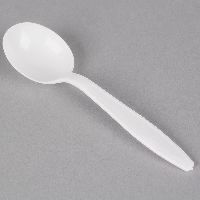 It is available in various size. 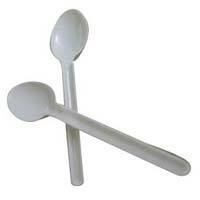 This general purpose double-ended spatula is corrosion free. 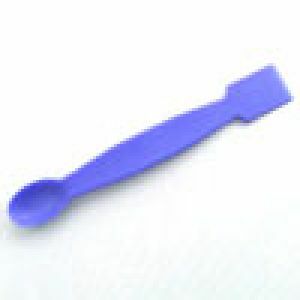 Spoon end of the spatula can be used for lifting ingredients from containers and flat end with knife edge for cutting up and separating ingredients. 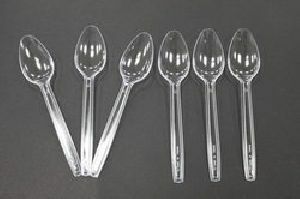 Available in length 150mm and 200mm. 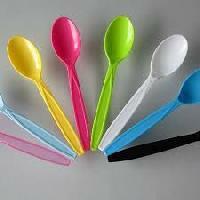 We are a renowned Manufacturer & Supplier of Plastic Spoons from Rajasthan, India. 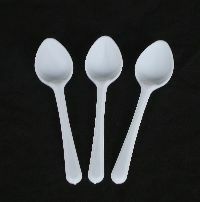 The Plastic Spoons we offer are engineered to perfection by our expert team of professionals. 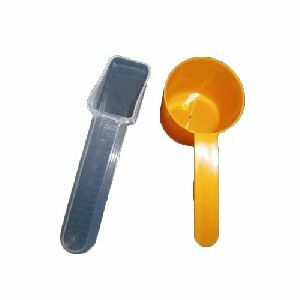 Our Plastic Dustpan is highly durable, reliable and sturdy. 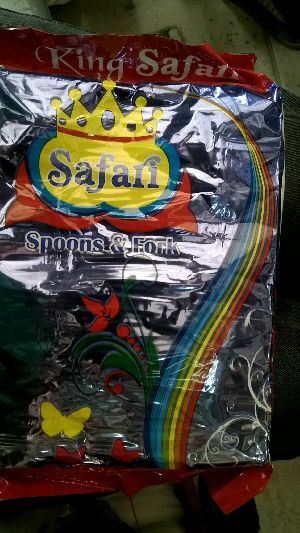 Owing to our efficient logistics network, customers can rely on us for delivering small or bulk orders of Plastic Spoons across the country on a timely basis. 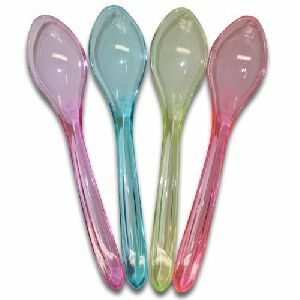 Purchasers can get in touch with us all year round for acquiring superior-grade Disposable Plastic Spoons at competitive prices. Capitalizing on an efficient industrial network, our organization has made coalitions with numerous reputed logistics solution sources. Thus, we can ensure on time distribution of consignments.